The VMR Institute’s technician, Kenneth Yee, will present on his current research at the event. Huntington Beach, Calif., March 6, 2014 — VMR Institute, a leading facility for treatment of disorders of vitreous, macula, and retina in the Los Angeles and Orange County areas, announced today that one of their own technicians and research students, Kenneth Yee, has been asked, by the Association for Research in Vision and Ophthalmology (ARVO), to give a presentation at its prestigious annual meeting in Orlando, Florida in May 2014. This marks the third consecutive year Kenneth has been asked to give a presentation regarding his current research at the esteemed conference. 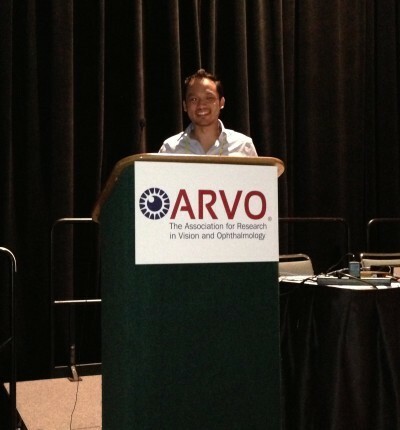 The Association for Research in Vision and Ophthalmology (ARVO) was founded in 1928 and is currently one of the largest and most respected eye and vision research organizations in the world. Its members include more than 12,000 researchers from 80 different countries. ARVO’s chief goal is to encourage and aid research, training, publication, and dissemination of knowledge in vision and ophthalmology. The VMR Institute is a state-of-the-art treatment and research facility in Huntington Beach, California, near Los Angeles. The institute provides laser therapy and surgery of the eye’s vitreous, macula, and retina. Sensitive to the needs of each patient, expert surgeons Dr. Jerry Sebag and Dr. Lawrence P. Chong offer specialty care with compassion. Dr. Sebag and Dr. Chong are considered pre-eminent authorities on the diagnosis and treatment of complex conditions of the eye.